For residents of Fairfield and Litchfield Counties, professionals are standing by in the case of a flood or water accident. Our professional and certified response teams are experienced in handling CT water damage restoration and flood disaster recovery. 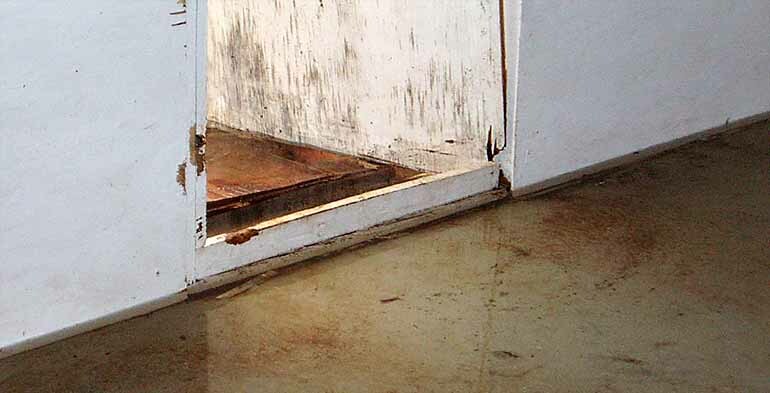 Let us get the water out and get your home on its way to restoration as soon as possible. Damage caused by water is insidious. 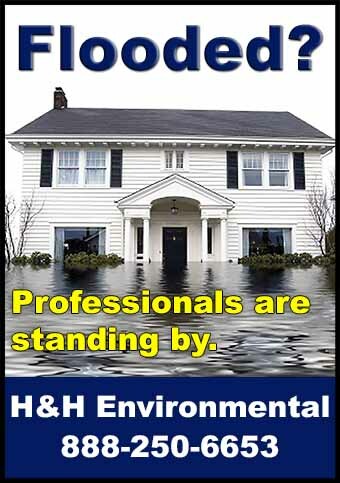 From frozen water pipes in the basement to a leaking roof causing damage to your attic and walls, to a plumbing problem anywhere in the building, H&H Environmental has the right cleanup solution. We will pump or remove the water with expert care. We use high-speed fans and industry-grade dehumidifiers to safely and quickly dry out your home or office. Serving the Following Municipalities in Fairfield County, CT: Bridgeport, Danbury, Norwalk, Shelton, Stamford, Bethel, Brookfield, Darien, Easton, Fairfield, Greenwich, Monroe, New Canaan, New Fairfield, Newtown, Redding, Ridgefield, Sherman, Stratford, Trumbull, Weston, Westport, Wilton, Newtown, Aspetuck, Botsford, Branchville, Byram, Cos Cob, Cranbury, East Norwalk, Georgetown, Glenbrook, Glenville, Greenfield Hill, Greens Farms, Lordship, Mianus, Nichols, Old Greenwich, Riverside, Rowayton, Sandy Hook, Saugatuck, Silvermine, South Norwalk, Southport and Springdale. Serving the Following Municipalities in Litchfield County, CT: Torrington, Winsted| Barkhamsted, Bethlehem, Bridgewater, Canaan, Colebrook, Cornwall, Goshen, Harwinton, Kent, Litchfield, Morris, New Hartford, New Milford, Norfolk, North Canaan, Plymouth, Roxbury, Salisbury, Sharon, Thomaston, Warren, Washington, Watertown, Winchester, Woodbury, Bantam, Litchfield, Canaan, Gaylordsville, Lime Rock, New Preston, Northfield, Northwest Harwinton, Oakville, South Kent, and Terryville. We keep up-to-date information on industry regulations and standards. We use top-of-the-line, environmentally friendly products in all our projects, and we provide the best guarantees and warranties in the industry. In the case of an emergency or a local disaster, it’s important to have a reliable company that you can count on. Water cleanup crews will respond within 30 minutes. Call us at 888-250-6653 for service. "H&H Environmental responded in a very timely manner. They were very thorough in their analysis and they took the time to explain their approach and how their finding could remedied in a very satisfactory manner."